February 6,2010, Saturday, Sophia M Sachs Butterfly House in Faust Park, 15193 Olive Blvd., Chesterfield, MO 63017. The Butterfly House is located off I-64 in west county. For directions and other interesting facts check out their website. 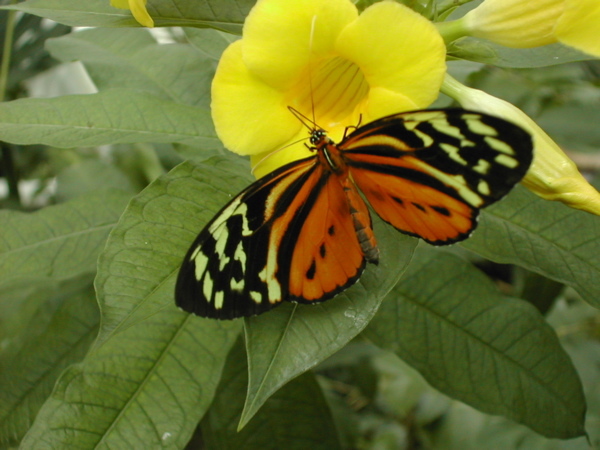 Our butterfly and horticultural tour starts at 10:00 so please arrive a bit earlier. Our guide will be Phil Cogor. Please be advised that it is cold outside but the Butterfly House is warm inside (75-85°) so please dress accordingly. After the Butterfly House tour, for those interested, we will be going to Emperor’s Palace at 17360 Chesterfield Airport Rd in Chesterfield, MO. EVENT HIGHLIGHTS: This was a fantastic event! It was just what everyone needed to chase away the winter blahs.